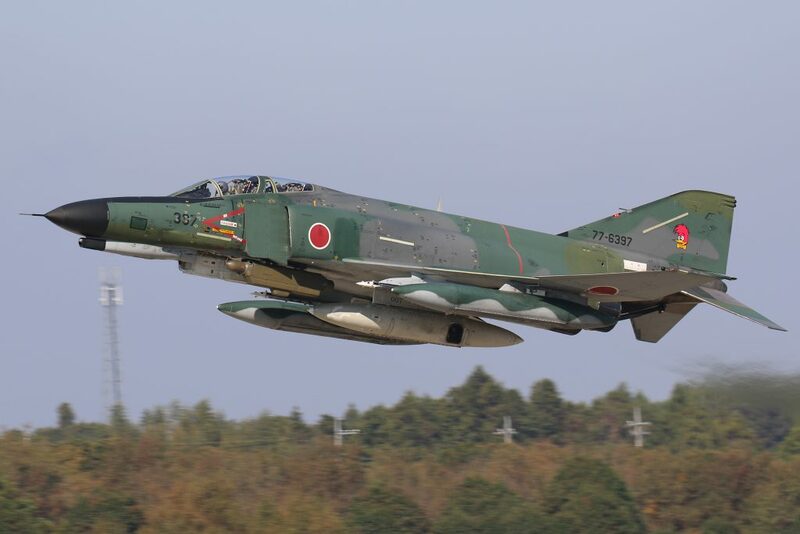 F-4EJ Phantom from 302 Squadron JASDF, captured in November 2018 on Hyakuri JASDF base, Japan. 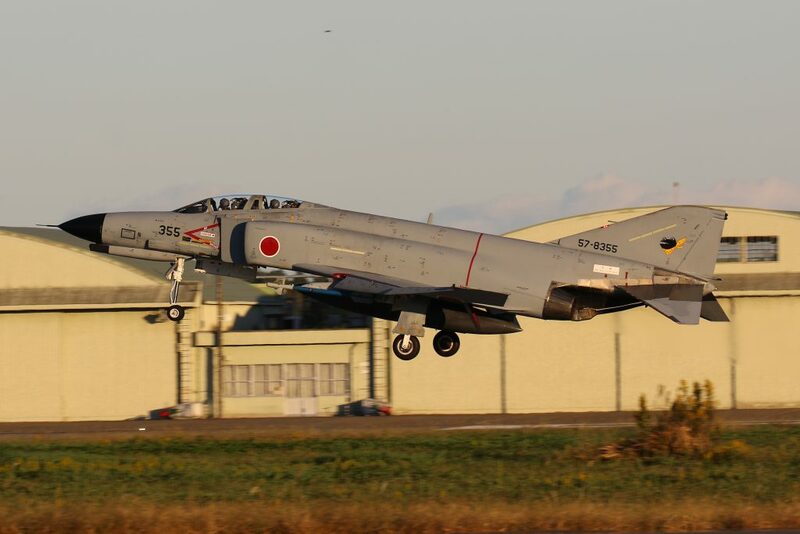 F-4EJ Phantom from 301 Squadron JASDF, captured in November 2018 on Hyakuri JASDF base, Japan. 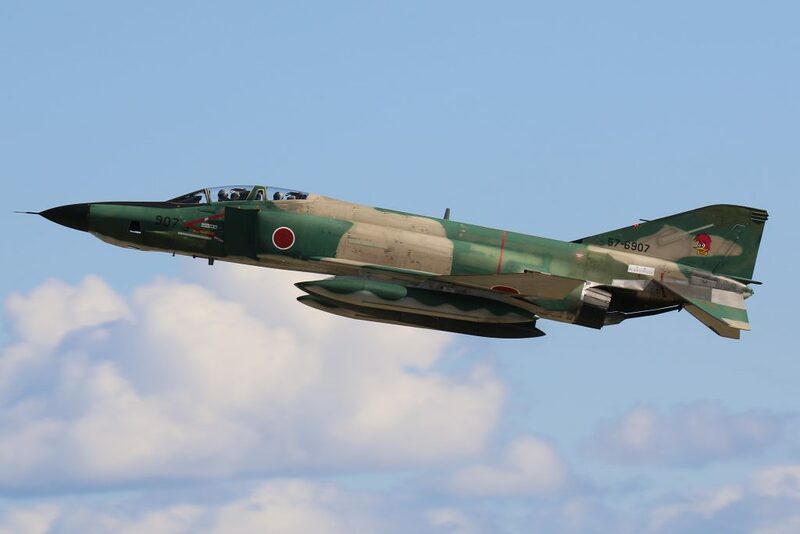 RF-4E Phantom from 501 Squadron JASDF, captured in November 2018 on Hyakuri JASDF base, Japan. 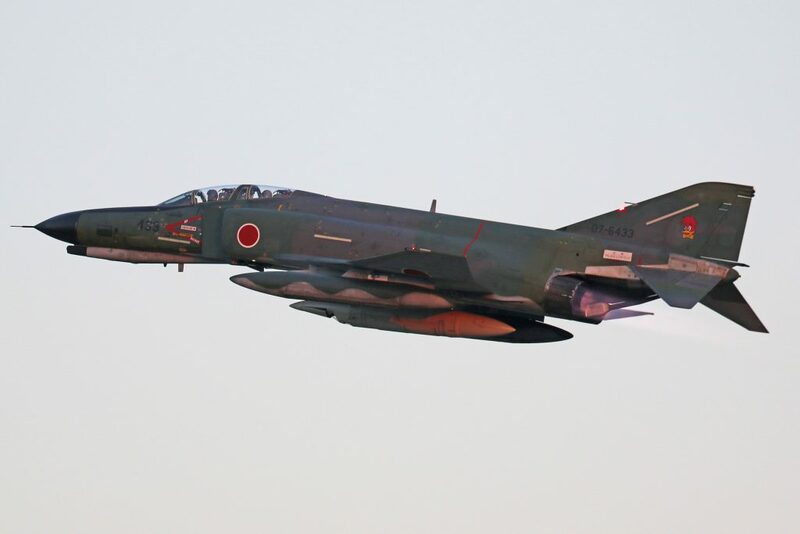 RF-4E Phantom from 501 Squadron JASDF, captured during take-off by Sunset in November 2018 on Hyakuri JASDF base, Japan. 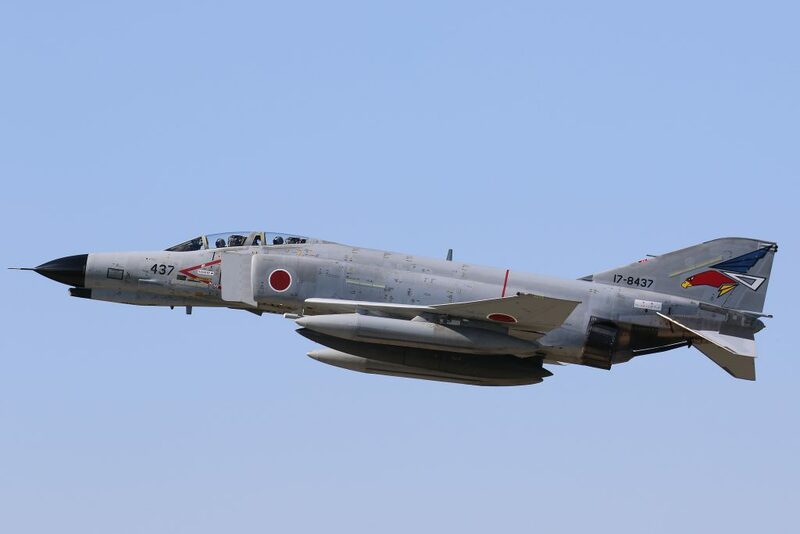 RF-4C Phantom from 501 Squadron JASDF, captured in November 2018 on Hyakuri JASDF base, Japan. 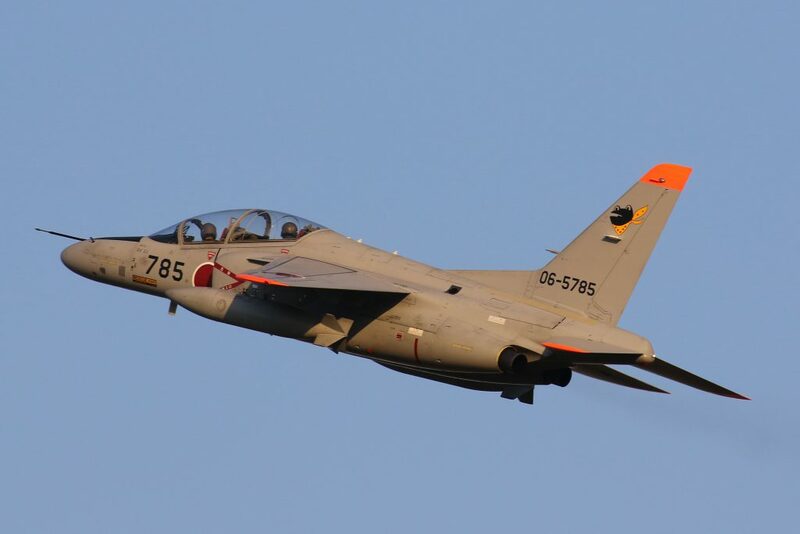 Kawasaki T-4 from 301 Squadron JASDF, captured in November 2018 on Hyakuri JASDF base, Japan. 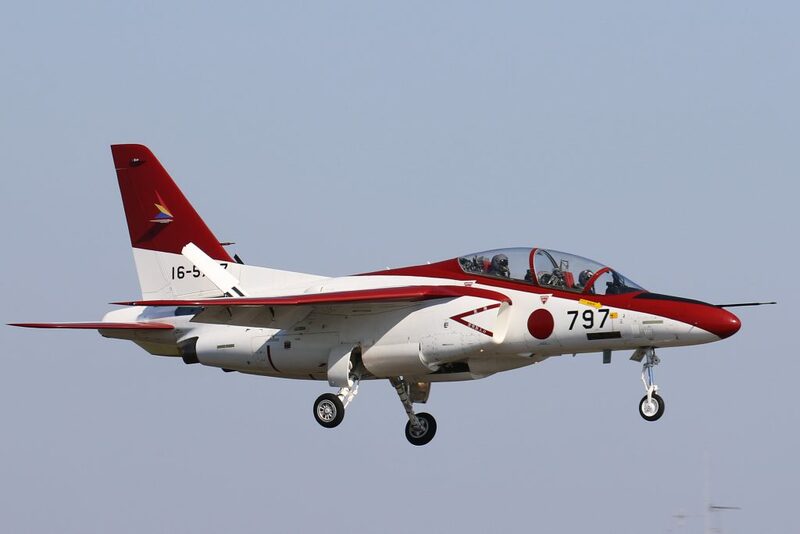 Kawasaki T-4 from the Headquarter Squadron JASDF, captured in November 2018 on Iruma JASDF base, Japan. 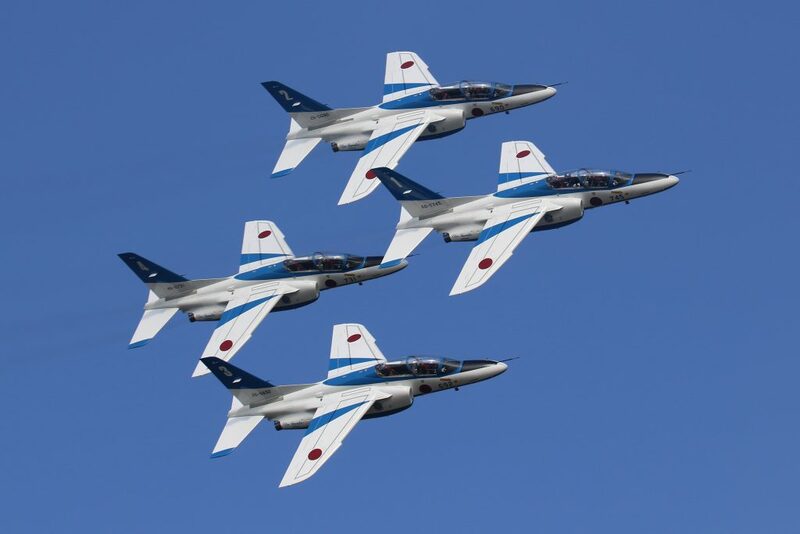 4 Kawasaki T-4 from Blue Impulse JASDF, captured in November 2018 on Hyakuri JASDF base, Japan. 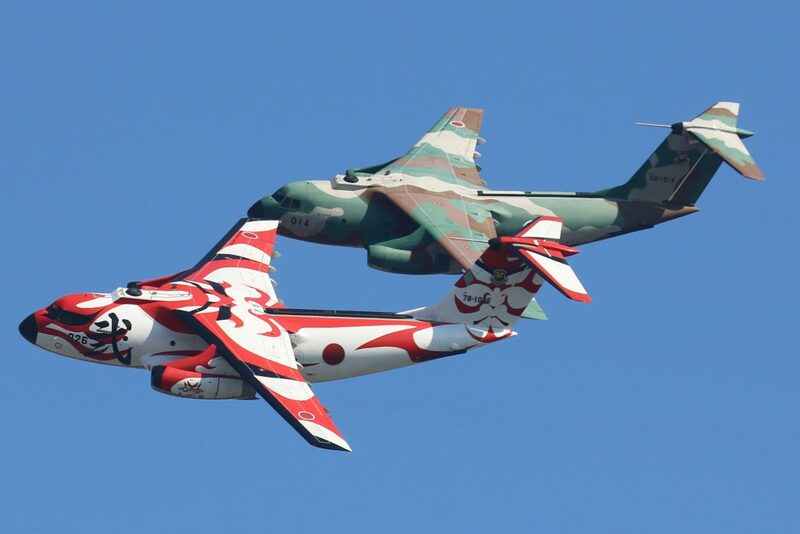 2 Kawasaki C-1 from 402 Squadron JASDF, captured in November 2018 on Hyakuri JASDF base, Japan. 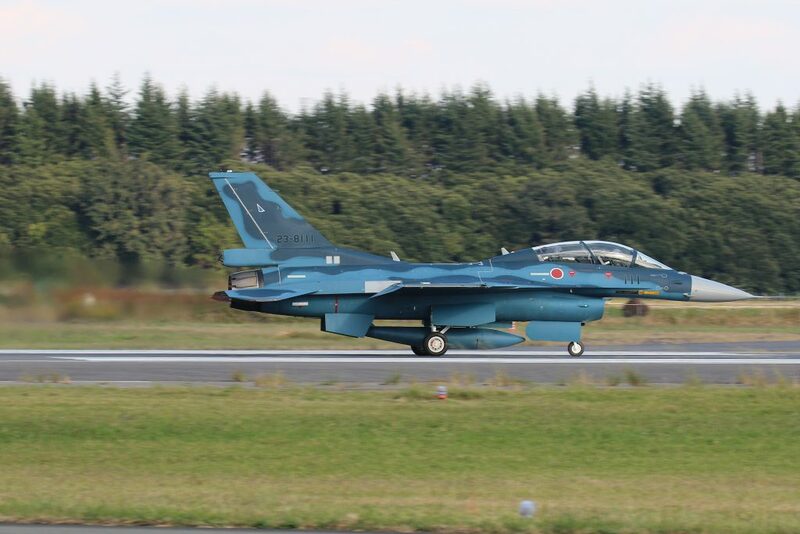 Mitsubitshi F-2 from 21 Squadron JASDF based on Matsushima, captured in November 2018 on Hyakuri JASDF base, Japan. 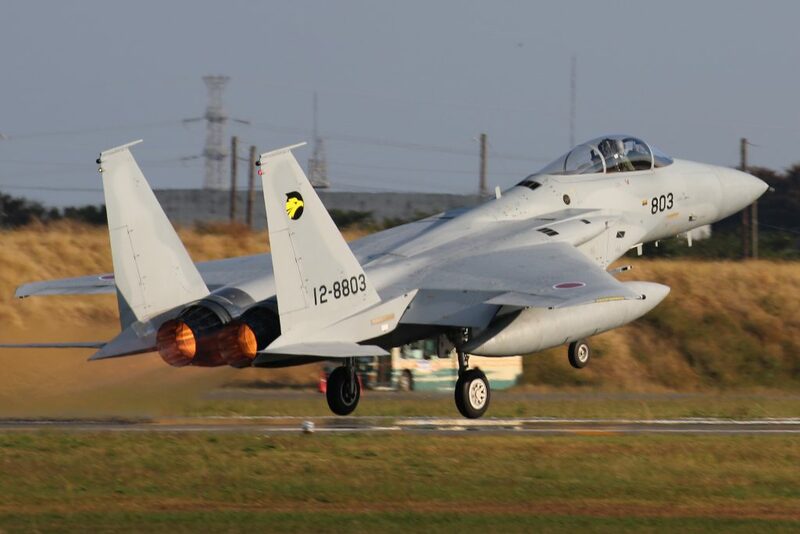 Mitsubitshi F-15J from 306 Squadron JASDF based on Komatsu, captured in November 2018 on Iruma JASDF base, Japan. 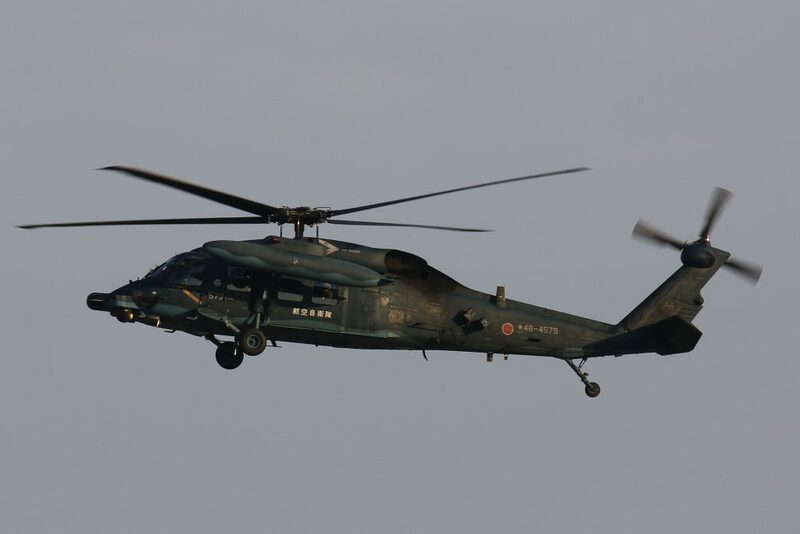 UH-60J from the Air Resque Wing JASDF based on Hyakuri, captured in November 2018 on Hyakuri JASDF base, Japan. 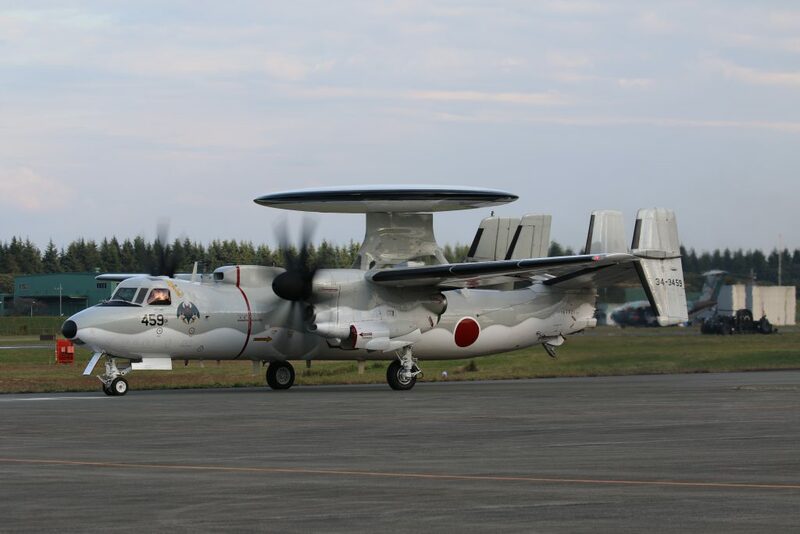 E-2C from 603 Squadron JASDF based on Naha, captured in November 2018 on Iruma JASDF base, Japan.